So how can we burn stored stubborn fat? Let’s face it, trying to burn stored stubborn fat can be a huge struggle for some and no matter how hard you try it just won’t budge? As frustrating as it is, we’ve all been there at one time or another and let’s be honest – summer is approaching fast! It’s totally acceptable to want to boost your self-esteem and feel good about yourself. Who doesn’t right? it’s only natural. However it’s just a simple matter of adjusting your diet and tweaking your weight loss program and I can assure you, there nothing to worry about! Will I have to go to drastic measures to achieve my results? Not by any means, all you need to do is adjust your lifestyle to gain positive results. That making a few simple life changes can help you to achieve your weight loss goals. The most effective exercises to burn stored stubborn fat – that’s proven difficult to budge. What foods are a must and what foods to avoid – lining your stomach the correct way. The most efficient all round ways to burn stored stubborn fat – helping you achieve that summer body everyone’s talking about. So stop dreaming and start believing! I am going to share with you 6 different ways that will make a huge difference, so say good riddance to that stored stubborn fat today! Cutting back on carbs is key if you want to burn stored stubborn fat, there’s simply no doubt about it. Adjusting your diet and removing complex carbohydrates is an amazing way to shift that glued fat that just won’t go away, especially in the middle area. Studies have shown when people cut down on carbohydrates decrease their appetite, in turn consuming fewer calories and causing significant weight loss. It’s common for people to shred pounds when there is a low carb intake, due to losing a lot of water weight which your body stores. So, if you cut back on the carbs by at least 30% say goodbye to that water weight and see positive results in no time. Bottom Line: If you cut back on those carbs you will for sure see results in no time, low carb diets are the way forward when trying to burn stored stubborn fat. Let’s get that blood pumping. I know you may be thinking it’s easier said than done, but all you need to do is change your exercise routine and you could watch that stored stubborn fat melt away. Short high intensity interval training (HIIT) workouts are the most effective way to shift that stern stubborn fat. Fast paced workouts increase blood flow, which is important as stubborn fat has a typically poor blood flow, which prevents necessary hormones from reaching the receptors on the fat cells. Just remember the more intense the exercise the greater the burn! Bottom Line: Get that blood flow pumping and increase your work out to high intensity or cardio, for a greater burn and tone. It’s completely normal to be tempted by all the sugary sodas and junk food that’s out there today, so let’s get rid of that little devil that’s hanging on your shoulder and break the bad habits! Say no to packaged, processed foods – these products are triggering inflammation making it much harder to shift that stored stubborn fat. To reduce your inflammation levels, you will need to cut back on processed foods as well as saturated fats (potato chips, pastries, gluten) and all other foods that cause you to get a sugar rush making your blood sugar levels high, (candy, cookies, pure fruit juice). Whole grains can keep harmful inflammation at bay. That’s because whole grains have more fiber, reducing levels of inflammation in the blood. Fruits like blue berries, strawberry and apples are high in natural antioxidants. Vegetables including dark leafy greens help protect the body against inflammatory molecules called cytokines. Bottom line: Eat wise to drop a size, reduce your inflammation levels by choosing natural food, to help your body shake of that stern fat. If you want to trim your waistline, get a good night’s sleep! What has sleep got to do with losing that stored stubborn fat. Lack of sleep ups your cortisol levels, and high cortisol ups your cravings for fatty, sugary foods, making it a battle of wills to stay on track. You need at least 7 hours sleep five nights per week or you will struggle to lose fat – get less and this is where fat stores start to be stimulated by higher cortisol levels. Bottom Line: Hit the hay earlier, or your body will struggle to shift mean fat. It’s all about routine to keep your cortisol levels on an all-time low. Are you not getting enough water? 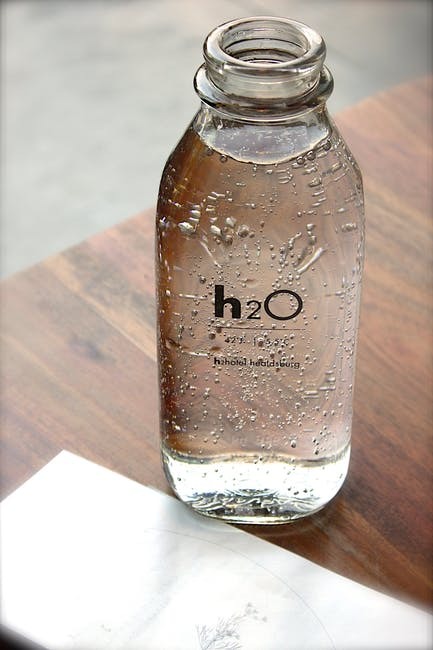 It’s been said your body’s intake of water should be at least 6-8 glasses a day, but this all depends on your body. People who sweat or exercise regularly may need more water, you need to listen to your body’s needs and quench that thirst. Dehydration makes your body’s metabolism sluggish. Without it, your liver begins to focus on retaining water rather than burning fat. Water contributes to a much greater weight loss, including digestion and excretion. Drink water before meals to help suppress your appetite. Water is 100% calorie free, so swap out those sodas and sugary juice drinks to see greater weight loss results. 1-2 liters of water per day should be a perfect amount to help you burn fat. Bottom Line: Drinking plenty of water as it can help achieve greater weight loss especially in those stubborn areas. It’s no secret that the metabolism plays a key role in burning off stored stubborn fat. Our metabolism is responsible for how many calories we burn throughout each day that goes by. If you have a high metabolic rate you will burn more calories and lose that stored stubborn fat faster. That’s why you should do everything in your power to keep the metabolic rate of the body as high as possible. You need to be exercising on a regular basis and eating protein rich healthy foods to keep the metabolism running. A great way to supercharge your metabolism is to us a fat burning supplement that is designed to. I’ve made an article about the best fat burners on the market which you can read by clicking here. So, there you have it a few life style changes and a more intense workout, will help you to achieve greater results, and burn stored stubborn fat.